APH offers a wide range of hotels near Manchester Airport to suit all budgets. Make your travel day easier; simply arrive at your hotel the night before you travel to wake up refreshed and just minutes away from the check in desk. What's more, you can often save money by booking a package deal that includes parking for the length of your trip. Hotel stays at Manchester Airport are ideal for those who want to reduce travel day stress. Relax and enjoy staying close to the airport knowing that you only have a short trip the following morning. Most hotels also offer regular transfers to and from the airport, some of which are linked to the terminals via covered walkways, so there’s no need for a transfer altogether. If you’re looking for a pre-flight stop-over before an early morning flight from Manchester Airport, picking an off-airport hotel makes a great venue for anyone looking for a great night’s sleep at a great deal. You’ll be situated just a short drive from the airport terminal, abolishing the need for an early morning rush. You’ll be able to relax and wake up feeling ready to fly – it’s perfect if you’re travelling with children or just want to 'VIP' your departure day. It costs less than you might think, especially when packaged with nearby airport parking or a Meet and Greet service at the terminal. Choose an on-airport hotel at Manchester Airport for ultimate convenience on your day of travel and ensure you’re not left rushing for that early morning flight. You’ll get the peace of mind of being just minutes from the terminal, while also avoiding the dreaded motorway traffic. You could also skip a late-night drive by relaxing in the comfort of a hotel before your onward journey. Our on-airport hotels can be packaged with a variety of parking options, from park and ride to meet and greet – just choose the option best suited to you. 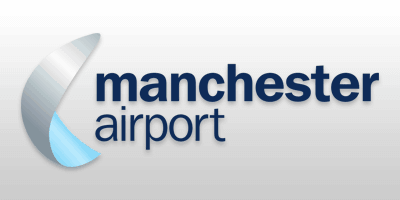 Looking for all the essential information on flying from Manchester Airport? Then look no further than our Manchester Airport Guide, it’s the perfect way to arrive ready to tackle the check-in desks and cruise through to boarding. You’ll be able to find out all the important information about WiFi, baggage trolleys, where to eat and where to shop. The guide also includes information on recommended check-in times, fast-track security passes and essential parking and hotel options.